By 2020 $79 billion is expected to be spent on SEO. That's a lot of money, but is it reasonable for bloggers and business owners alike to spend so much on SEO? It is when you think of what it takes to hold on to customers and blog readership these days. 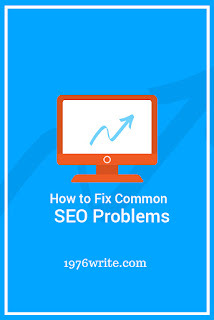 Holding on to followers and customers is a full-time job, and requires the need to fix and identify any SEO problems on a regular basis. The better your website speed, the higher your website ranking is on SERPs. Which can mean more pages indexed on Google search. Track your websites pagespeed with Google PageSpeed Insights. It will give you a simple description of the actions required to improve your blog pagespeed. To remedy this only add relevant on-page text where necessary, and move inline scripts to independant files, removing all unnecessary code. Refer to Google Search Console to make sure your pages are being crawled. If your blog contains copied content it will be penalised by Google. Nearly 29% of all internet content is copied. Stay on top of your website content by using Siteliner and Copyscape to ensure originality. URLs that finish with "..index.php" or "..p=567394" aren't user friendly. Many bloggers would say that your word count doesn't matter too much to Google. The best way to get around the word count problem is to write blog posts of various lengths, some long, some short, then you have variety for your readers, and you keep Google happy. Google is launching its first mobile friendly index in 2018. Surprisingly many websites aren't that mobile friendly, and haven't quite caught up. Only 16% of people will end up filling in your contact form.